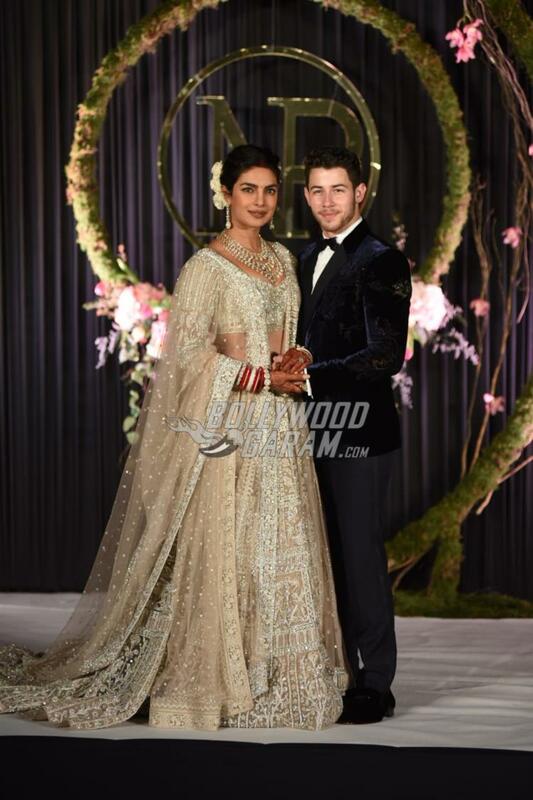 After the conclusion of the extravagant wedding festivities of Priyanka Chopra and Nick Jonas, it was reception time in Delhi. 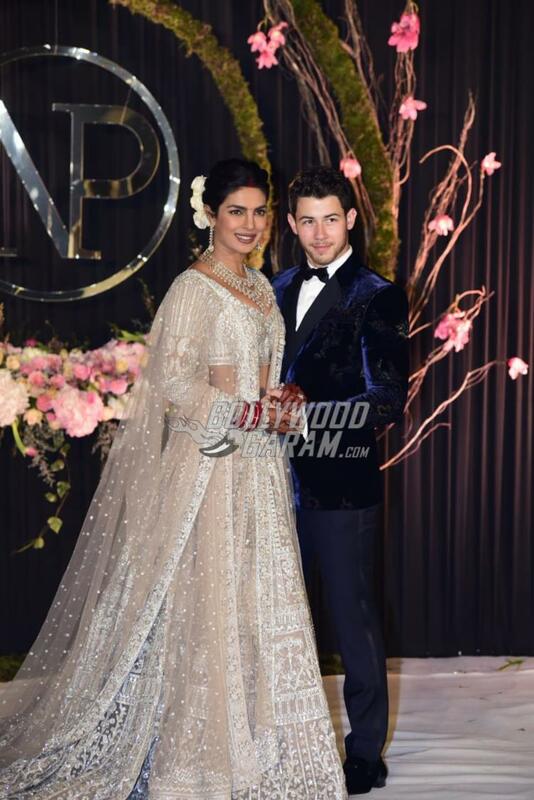 Priyanka and Nick hosted a grand wedding reception in Delhi on December 4, 2018. 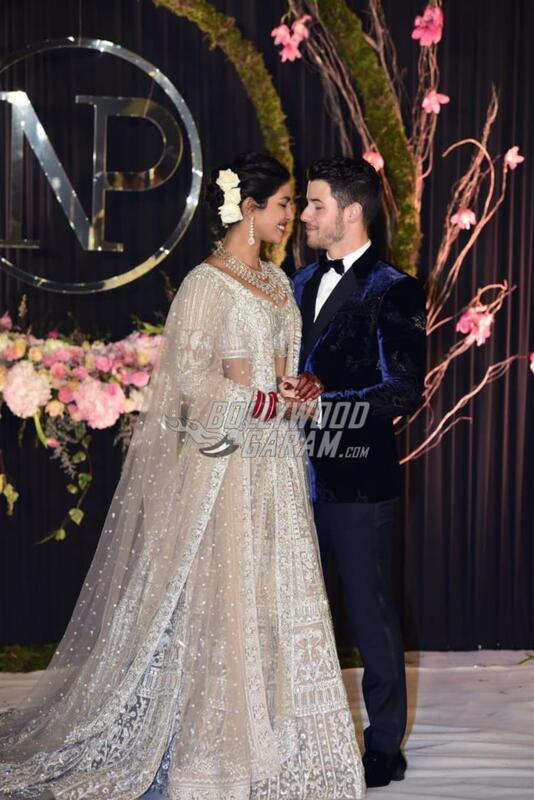 The Barfi actress stunned in a glittery Falguni and Shane Peacock lehenga with a matching choli and a dupatta worn on both the shoulders. 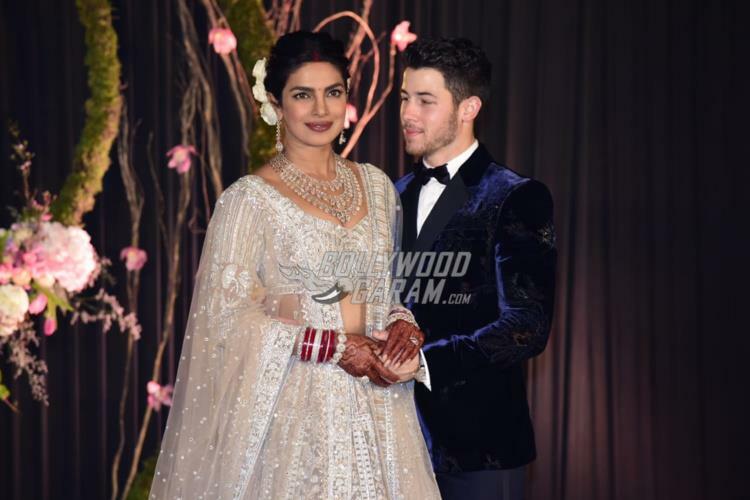 Priyanka styled her look with a multi-tiered diamond necklace and drop earrings with a bun decorated with white flowers. The groom Nick looked dapper in a blue velvet suit. The couple were all poses and showed off their intense chemistry as they posed as newly-weds for the paparazzi. 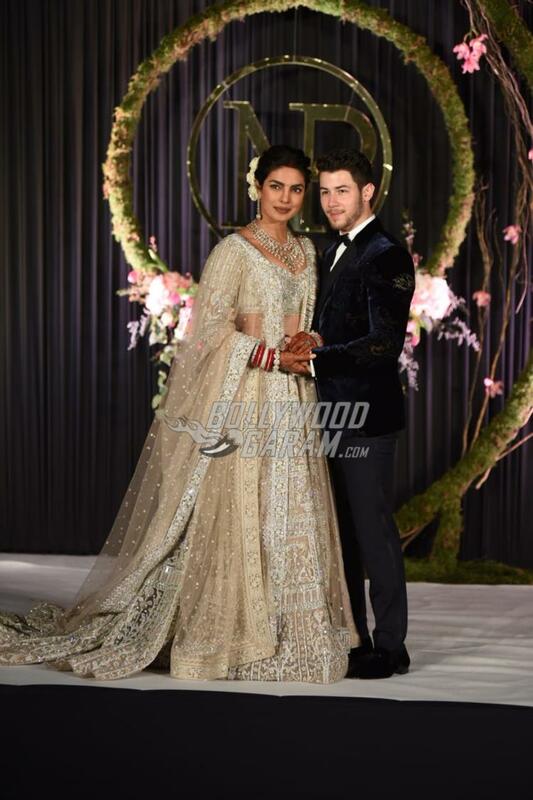 Priyanka and Nick also posed with the Chopra and Jonas family on the stage which was specially decorated for the paparazzi interaction. The backdrop had their wedding logo with the initials NP. 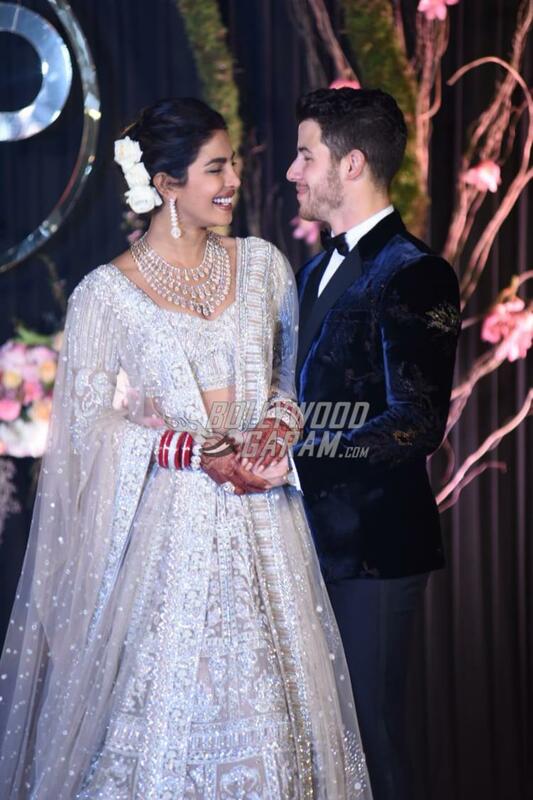 The couple recently unveiled the official wedding pictures of the two from the lavish Umaid Bhavan Palace wedding held at the weekend. 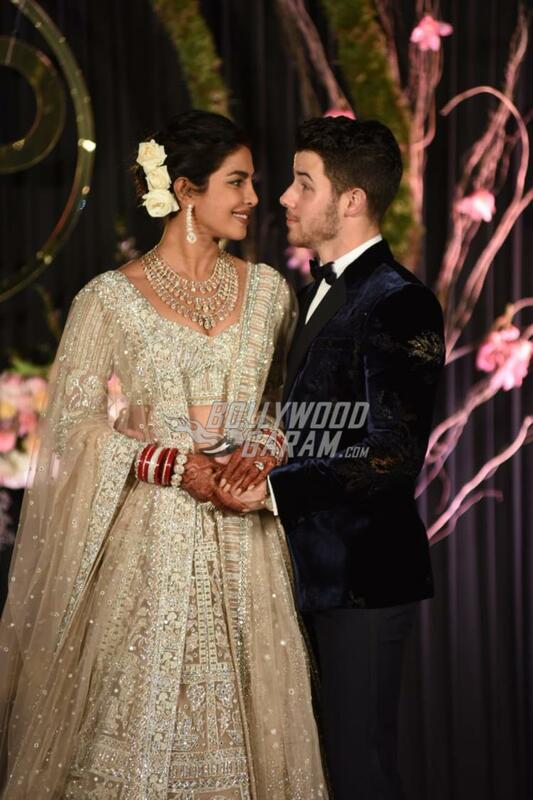 The wedding reception also saw the presence of Prime Minister Narendra Modi who arrived to wish the newly-weds.